Bruce Gruenzel was born and raised in Milwaukee, Wisconsin. He began drawing at an early age and drew everything from cartoons to rocket ships in outer space and other fantasies of his imagination. During his teens he fell away from his artistic talents and channeled most of his energies towards sports activities. It wasn't until he came to California in the mid-fifties and saw the ocean for the first time that his interest in artistic expression was renewed. "In my paintings, you will find dramatizations of God's creations and sometimes scenes depicting man's struggle against the elements. I feel a profound appreciation of nature's beauty, especially its eminence in the sea and I want to share the essence of its grandeur in my paintings." 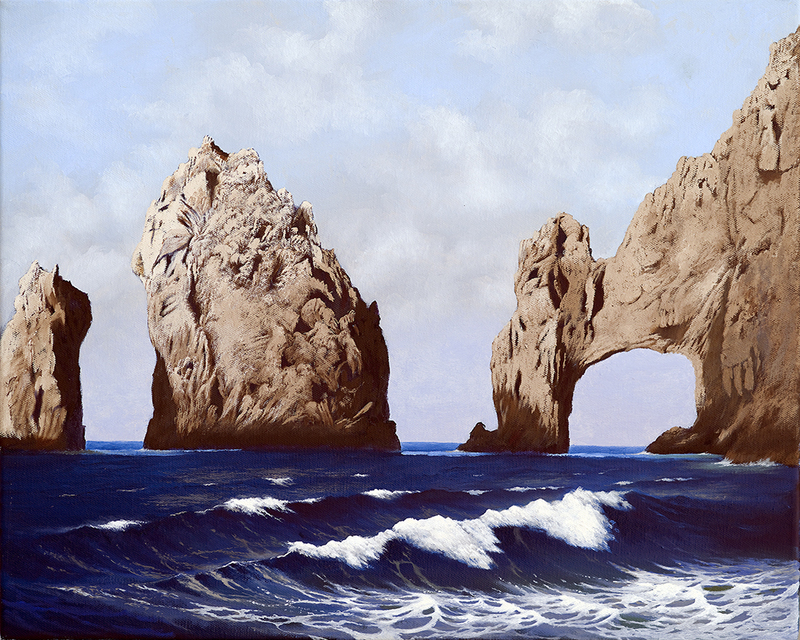 Bruce has studied the sea in many location and his paintings reflect the majesty of the ocean.